A full church and strong singing of hymns chosen by Arthur, set the scene for the funeral service held last Tuesday morning at St Peters Methodist Church in Invercargill, less than 100 metres from the famous address of 212 Earn Street. After the minister’s message, family member Doug Brown gave an excellent reprise of Arthur’s life and achievements, including his radio exploits dating back to the mid 1930s. He pointed out the significance of Earn Street and St Peter’s church in the lives of both Arthur and Ralda, for they both grew up in Earn Street and following their marriage at the church at the end of Earn Street in 1946, they moved into a new house next door to Arthur’s parents. Doug spoke of the ‘spiders web’ of antennas that spread out from the Cushen home over the ensuing years, and how he would climb trees to reconnect wires brought down by the occasional storm. Doug Brown read several extracts from Arthur’s book “The World in my Ears” during his tribute. He recalled Arthur’s incredible memory and recall, his work for the NZ Security Intelligence Service monitoring and, without the aid of tape recorders, accurately transcribing radio messages from some 6000 allied prisoners of war during World War II, the Korean and Vietnam Wars, for passing to grateful next-of-kin. In fact an astonishing record of community service that would put most sighted people to shame. Tributes were then made by a representative of the blind community and Bryan Clark on behalf of the NZ Radio DX League and the international DXing fraternity. The extent of Arthur and Ralda’s involvement in work for blind and partially sighted people would be a surprise to many who marvelled at how much time and effort Arthur put into DXing and shortwave monitoring. At the time of his death he was the longstanding Treasurer of the local Association for the Blind & Partially Blind, and a member of the Advisory Committee of The NZ Foundation for the Blind. He was National Vice President from 1968 to 1979. Queen Elizabeth personally presented Arthur with his award as a Member of the Most Excellent Order of the British Empire (MBE) in 1970, as recognition for his services to the blind, as well as his radio work. He and Ralda set up New Zealand’s first telephone news service in Invercargill back in 1962, and only recently has a nationwide operation of this type been established. There was a good contingent of DX and SWL enthusiasts at the funeral, including Paul Aronsen, Laurie Boyer, Arthur de Maine, Arthur Finch, Jack Fox, Peter Grenfell, Edgar Macaskill, Eric McIntosh, Paul Ormandy, Noel Parry, Lindsay Robinson, Arthur Williams and Bruce Williams. Radio NZ International’s Mailbox presenter Myra Oh was also present to farewell Arthur. Bryan later presented Ralda Cushen with a portfolio of the eMail messages of condolence received from many countries and well known names this past week. It was wonderful to see the support being given to Ralda from her family, Arthur’s secretary Dawn Beckingsale, and the local church and blind communities. Commenting in an obituary on Arthur’s death and Ralda’s supporting role over 50 years of marriage, the Southland Times newspaper highlighted their “remarkable partnership”. At time of completing this report (26 September) Dawn reports that Ralda is coping well. On behalf of everyone connected with the World Radio TV Handbook, I would like to offer my sincere condolences on the passing of Arthur Cushen. Arthur was small in physical stature, but in the hobby of DXing he was a giant. Some of his achievements will never be equalled, and he is assured of a unique place in the DXing Hall of Fame. I had the great privilege of meeting Arthur and Ralda when they came to Europe for the EDXC Conference in Stockholm. They were delightful company, and great ambassadors for New Zealand. 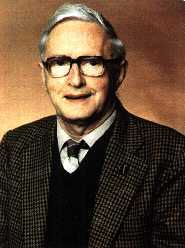 Arthur’s contribution to WRTH over almost 50 years, both as a collaborator and as an official representative of the publication, is immeasurable. We will always be grateful for what he did to promote our publication in the Pacific. But Arthur himself would have wanted much of the credit for his achievements to go to his devoted wife Ralda, and we are thinking of her at this difficult time. The DXing hobby has lost a unique character, and many of us have lost a personal friend. I am sure that in due course, we will be able to find a suitable way of honouring Arthur’s memory in perpetuity. He deserves nothing less. The passing away of one of Radio’s best known personalities comes with sadness for many of us who knew Arthur very closely. For some time Arthur had been ill and his advanced age drew him closer to his last days on this earth. Inevitable as it had to be, for those of us with a passionate love for our hobby, Arthur in many ways was the embodiment of what a very personal hobby meant, and his leaving removes a link with the pioneering days of SW Radio listening. As long as Arthur was in the hobby we felt that continuity even though those early days of radio were romantic tales from a bygone era. I remember my early days as a teenage dxer in the sixties when the name Arthur Cushen inspired awe in us. He was famous, and no DXer or SWL who called himself such failed to respect that name. The articles about Arthur were many, and his dx-tips floated through the ether to our small domestic radio sets through many dx-programmes. Radio Netherlands and DX Juke Box with Arthur’s Pacific DX Report along with Sweden Calling DXers were the most valuable sources of DXinformation for us in Asia. His voice giving those dx-tips both hard to hear and new frequencies for better known stations always helped us. Those were the days when World Radio TV Handbooks were rare and being members of foreign dx-clubs was unthinkable due to their high cost. Arthur showed us that even though he lost his sight in the prime of his youth, life could be lived happily and meaningfully and with it came more and more dedication to his work on radio. His work during the second world war, picking up messages of prisoners of war and passing the information to the authorities to be passed on to families will stand as a memorial to him. And his work for the blind for which he received the order as a Member of the British Empire shows how he took his hobby beyond personal enjoyment to mean much to his community and it also brought joy to many others. He was a good man and in many ways showed that the respect we showed him, or the fame he enjoyed didn’t distance him from us SWLs. My first letter to him as a relatively unknown dxer brought an immediate response and in the last 25 years he never failed to send us a Christmas greeting. Ralda and Arthur were special people and close friends of many all over the world. Last year when I asked Arthur to mail me a copy of his book “Radio Listeners Guide” he sent it to me personally autographed as a gift with a beautiful letter and a photograph with Ralda taken on their Golden Wedding Anniversary. When ever I wrote to Arthur and Ralda I felt that here was history of radio. A man who was there at the start, experienced those early days and I felt we too belonged to that era which hadn’t ended because Arthur was still there. With him an era has suddenly ended. His life as a DXer Broadcaster and an SWL should inspire any one who has a love for radio. He was fortunate to experience and enjoy those fine times and even more to have a constant companion in his wife Ralda. We are sad for Ralda for whom it must be very difficult times. While extending our deepest sympathies to Ralda we also thank her for the fine example of love and to-getherness that she displayed and the great support she herself gave for us to receive the gift of Arthur in his fullness. Even as you grieve may you be surrounded with fond memories of a man who was respected and loved by friends all over the world. Arthur gave much to the world of radio, brought so much joy to us dxers. May his soul be raised in to the heavens that was so much a part of his daily life. Goodbye friend. May your soul rest in peace. I can remember being interested in radio from a child. My first memory is at the age of 8, sneaking into my parents room after being put to bed, and quietly listening to my Dad’s Philips transistor portable. Those shortwave signals sounded magical! In my early teens, I started bying old valve radios and this lead to the reading of Arthur’s Shortwave Radio column in the New Zealand Listener. I wrote letters to him and the questions within were always answered promptly by Arthur and his support staff. Arthur introduced me to the New Zealand Radio DX League, which has allowed me to enjoy this radio hobby to the fullest. Arthur was the best ambassador the radio listening hobby ever had, and his will be sadly missed. My thoughts go out to Ralda at this time. Ralda, you worked very hard assisting Arthur and I really appreciate your effort as do all the other members of the New Zealand Radio DX League. You can be very proud of Arthur and rest assured, he will never be forgotten. On behalf of all the Media Network team around the world and in Hilversum, we’d like to echo the sentiment expressed on air and via the Internet this weekend. Arthur was a great promoter of the shortwave listening cause and shared his love for radio with thousands around the world. He was a faithful contributor to Media Network and its predecessor, DX Juke Box, starting in 1966. The advent of the better quality phone lines around 1990 meant we could record his sessions over the phone and turn his contributions into a proper conversation. He had plenty of stories to pass on and his memory for frequencies was amazing. His pioneering spirit lives on. Jonathan Marks, Diana Janssen, Ehard Goddijn, Jan-Willem Drexhage, Radio Netherlands. It was with great sadness that I learned this morning of the death of Arthur Cushen. Although I never met Arthur, he was a friend and colleague who selflessly provided SW Dxing information and advice to a struggling young producer at KTWR, Trans World Radio’s Guam SW station for the five years it was my privilege to serve there. It’s been a number of years ago that I last corresponded with Arthur, but I remember fondly receiving the packets with his reports and taped segments for Pacific DX Magazine. On behalf of all of the Trans World Radio family, please accept my condolences and thanks for a remarkable life and for a faithful friend of missionary radio. Just yesterday I received the message (in fact several messages) about the death of Arthur Cushen, perhaps the best known shortwave listener and DXer of the whole world. He was a legend also here in Europe, and I myself recall having read his book “Shortwave Voices of the World” nearly 30 years ago, when I started my DX hobby. I noticed that the funeral will take place already tomorrow, and I hope that you can attend on behalf of the whole short wave community. On behalf of the European DX Council and the Finnish DX Association I want to express my condolences to Mrs. Ralda Cushen, and to thank for the magnificient job Arthur did for so long a time to the benefit of the shortwave listeners of the whole world. I donot know how to express myself at this moment of grieve. I’ve no word to express my sorrow and deep anguish. He is FATHER TO all the present DXers who was in touch with him during our teens. Always helped by his long letter to each individual. It is a great shock to all of us here and we lost not only a greatest DXer of the World but a good friend also. In the late sixties when I started DXing I heard his name and got his address from FEBC Radio International’s SW Mailbag program. I wrote a letter to him with great fear whether this great man in this hobby will ever reply to me – a very new to dxing. Immediately I got a long encouraging letter. After 2 months I received a surprised packet containing an edition (1966) of World Radio TV Handbook. That was the first time I saw WRTH and even at that time I was not aware of such a book. Since then I received every year Ralda and Arthur’s new year best wishes to me and my family. I used to correspond with him 2/3 times a year. Personally his work, letters and radio news over the air helped and inspired me much and despite several odds I continue in this fascinating hobby. Still I kept all the letter and books he sent me – specially the autographed edition of ‘The world in my Ears’. The last letter I received from him on receipt of SOUTH ASIA RADIO GUIDE(#10). He always encouraged me in publishing the book every year. While extending our deepest sympathies to Ralda we could not think of how her life will be without Arthur. We’ll be missing his words on the world of radio in our ears. I met Arthur and Ralda in 1986 in Montreal, at ANARCON ’86. The conference was a wonderful experience. Arthur was a speaker at the meeting and I was amazed at his experience and knowledge of all things radio. It was a pleasure to talk with Arthur and Ralda about their home and life in New Zealand. I kept up a correspondence with Arthur, sending him my latest column or article about collecting radio stamps. Later when I started teaching, he was a great supporter of my projects for shortwave listening in the classroom. I will certainly miss Arthur. Please pass on my condolences to Ralda. I’ll always remember our meeting in Montreal. Eh com muita tristeza que eu retransmito esta noticia encontrada ha pouco em minha caixa postal Para que nao o conhece, Arthur Cushen era um simbolo no DXismo Neo-Zelandes. Com sua morte fica um exemplo de que ainda fazemos pouco pelo hobby. O Clube DX-ista do Para tambem se solidariza com outras entidades mundiais a familia deste que foi, memso sem o termos conhecido um exemplo para nos. From out of the blue the name of Arthur Cushen came to mind this Christmas Morn. Years ago I was a regular shortwave listener and frequently heard Arthur’s name mentioned by Radio Australia and other DX programmes. He was certainly a great guy.